Etihad Airways flights from the UK to Bangkok from £351! Etihad cheap flights from the UK to Australia from £559 round-trip! Cheap flights from Rome to Mahé, the Seychelles from €407 return! Looking for good value economy class flights from the UK to Bangkok also at the beginning of next main tourist season 2019/2020 have a look in this deal based on Etihad Airways. (5-star carrier by SkyTrax). Return flights (incl. all taxes and fees and 23kg checked bag) are now available already for £351! The cheapest option is from London but there is also great solution from Manchester. Adding one more sample from Manchester to Phuket based on promo deals with Etihad Airways. This is including open-jaw ticket option which is perfect way to travel Thailand from Bangkok down to Phuket..
Etihad Airways promotion is available from now till June or end of August to 10th of December 2019. Blackout period around Christmas and Easter Holidays. Including weekend flights at the beginning of next peak season 2019/2020. Max stay 6 months. Discounted flights with Etihad Airways are available till 9th of March or until sold out..Need to book your hotel room in Bangkok we recommend Booking.com. or Hotels.com. Double rooms in Bangkok are available already for €6/£4 per night! See also this great Etihad promo sale from the UK to Australia. Return flights to Melbourne, Sydney or Brisbane available from £559. Or you can also fly to many destinations in India already for £328 return! Travel dates are the easiest to check here directly with Etihad Airways. They are offering a week view so you can easily find out lowest fare available. Alternativelly you can use Google Flights as it offers you almost instant result and you can easily browse throughout all the months. Considering the cheapest flights are available during peak season in Australia this is great option not just for travellers from UK. The easiest way to check your connection possibilities is through Skyscanner. To check other promo deals with Etihad Airways you can follow here. Booking sample of current promotion of 5* carrier. 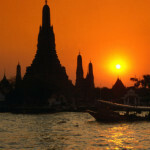 Etihad Airways flights from the UK to Bangkok from £351! In this case you would be flying from London to Bangkok on 10th of November. Your return flight from South East Asia back to United Kingdom would be then on Sunday, 24th of November 2019. Want to fly from UK to Thailand in peak season and on board of top ranked carrier for reasonably priced tickets do not miss this Etihad Airways special promotion..